This richly detailed reference offers a strengths-based survey of Latinx immigrant experience in the United States. Spanning eleven countries across the Americas and the Caribbean, the book uses a psychohistorical approach using the words of immigrants at different processes and stages of acculturation and acceptance. 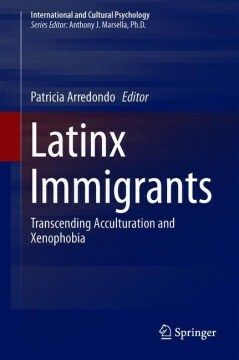 Coverage emphasizes the sociopolitical contexts, particularly in relation to the US, that typically lead to immigration, the vital role of the Spanish language and cultural values, and the journey of identity as it evolves throughout the creation of a new life in a new and sometimes hostile country. This vivid material is especially useful to therapists working with Latinx clients reconciling current and past experience, coping with prejudice and other ongoing challenges, or dealing with trauma and loss.